Here is a great story that I had not heard until now. Back in 1998, while working on Toy Story 2, Pixar accidentally deleted a huge chunk of the files with the Unix command rm -r-f *. On top of that, their backup solution failed. Oopsie. The whole story, “How Pixar’s Toy Story 2 was deleted twice, once by technology and again for its own good”, is over at The Next Web. Written by Matthew Panzarino, it’s a really great geek read. It is also a great study in how best to handle a crisis situation. Good culture, good company. And there is a Pixar animation about the whole affair over on YouTube. That’s Oren Jacob, former Chief Technical Officer of Pixar—then an associate technical director for Toy Story 2—recounting the moment they discovered that the movie was being deleted off of the company’s servers after an erroneous command was executed, erasing two months and hundreds of man-hours worth of work. You might have heard something about this lately, as a clip from the special features of the movie has been making the rounds after being posted on Tested. It’s narrated by Jacob himself, and the movie’s Supervising Technical Director Galyn Susman. The story struck me as interesting, so I reached out to Jacob, who is now the CEO of ToyTalk, a digital entertainment startup that is in the process of readying its first project for launch. I wanted to get the story right from the horse’s mouth, to see if the situation was really as dramatic as it had sounded, how the staff coped and whether or not they ever discovered exactly who deleted the files in the first place. As you can hear in the video, Jacob has a hyperkinetic conversational patois and, despite what he says, a great memory for the details of the situation. A huge chunk of Toy Story 2 was indeed deleted and was only recovered by a stroke of luck and the intense efforts of the Pixar staff. But what most people don’t know is that the whole movie was actually tossed out again, not by the computers, but by the filmmakers themselves. It was then completely remade with mere months to go before a release date that was set in stone, cementing Pixar’s legacy as a crucible of commitment to quality. The story that Jacob shared with me ended up containing some interesting lessons for people working with large amounts of technical data, but more than that, it has a lot to say about just how much of what makes Pixar’s movies so great has to do with the people who work there and their insane dedication to making things great. The story likely takes place in 1998, though Jacob admits he’s foggy on the exact date. The Toy Story 2 crew, about 150 people in the animation, lighting and modeling departments of Pixar, had been hard at work for some time on the movie. Simultaneously another 200-250 people were at work finishing up Bug’s Life, which would be released that Fall. One day, Jacob (pictured right) was in the office of Larry Cutler—along with Larry Aupperle, who was also an associate Technical Director working under Susman. In what is a crazy stroke of luck, they happened to be looking at a directory in which the assets for the character Woody were stored, when they noticed, on a refresh, that there were suddenly less and less files. The command that had been run was most likely ‘rm -r -f *’, which—roughly speaking—commands the system to begin removing every file below the current directory. This is commonly used to clear out a subset of unwanted files. Unfortunately, someone on the system had run the command at the root level of the Toy Story 2 project and the system was recursively tracking down through the file structure and deleting its way out like a worm eating its way out from the core of an apple. That’s when the panicked call was made to the machine room where the main server was located and the instruction given to just yank the power and network connection of the server. This is simply not done in environments with hundreds of clients connected to the machine, it’s as if someone asked you to throw your main breaker to shut off your blender. The machine was eventually brought up a few hours later and they took a poll of the damage. When a size command was run on the Toy Story 2 directory, it was only 10% of the size it should have been. 90% of the movie had been deleted by the stray command. When this story originally started making the rounds, one of the other big questions was ‘how did this happen?’. I asked Jacob about the ‘how’ and he told me that it was actually largely a function of how a company like Pixar works on projects. The common way to prevent an accidental command like this being run on an entire project is to lock users down with permissions to only the files they need. But, because of the way a project like a Pixar film works, almost everyone working on the show needed permissions to read and write to the master machine. This was their job. Assigning micro-managed permissions would have eaten up administrative resources, especially in crunch time. So at this point, most of the film had been deleted or otherwise compromised. But that wasn’t a big deal. Things had been deleted before, it’s just something that would happen from time to time. During the production of A Bug’s Life, most of the ants got deleted and had to be restored, which wasn’t a problem because, of course, Pixar backs up its data. In 1998, the most common way to back up a bunch of data was on tape, which is the system that Pixar was using. Unfortunately, these backups were not continuously tested, as the company does today and is the universally recommended best practice. Typically, to make sure your backups are good, you have to use them. Every few days or weeks, you swap your backups with your currently running setup and keep going, in order to make sure that your data is all there. This is a practice called ‘live backups’. Pixar, at the time, did not continuously test their backups. This is where the trouble started, because the backups were stored on a tape drive and as the files hit 4 gigabytes in size, the maximum size of the file was met. The error log, which would have told the system administrators about the full drive, was also located on the full volume, and was zero bytes in size. This meant that new data was being written to the drive, but it was ‘pushing’ the older files off. But no-one at Pixar knew this yet. It’s worth mentioning at this point, because some of you may be wondering, that the whole movie encompassed no more than around 10 gigabytes of information. That may seem crazy considering the size of textures for many newer flicks, but you have to remember that the backup tape had a file-size limit of 4GB and it didn’t become a problem for many months on the project. The entirety of the data for the movie could have been fit on a couple of dual-layer DVDs. So, they grabbed the backups, went to work and restored the show. Within a couple of days they had what they thought was a completely restored version of the files for TS:2. To test it, they submitted around 2,000 frames to render, one for each ‘shot’ in the movie (the bits between ‘cuts’). This would effectively pull on every resource involved in the film because those stills would need all of the models, lighting and textures in order to render properly. Fast-forward to the end of that week. The crew has been back at work using the newly restored files for many days now. But, over the course of that week, there had been a few oddities. Weird ‘attach’ errors kept cropping up. An attach is when a character, like Woody for instance, takes off his hat. The hat transfers from being a part of his head to being a part of his hand, this is a tricky procedure and very ‘fragile’. By the end of that week enough things had broken here and there that the team realized there was a problem. In addition to the attaches, some people working on a version of their shot noticed that the current version was far lower than where they had left off. They were working on number 420 and now it said it was version 20. Something was up. This is when the tape backup issue was discovered, after a full week’s work. Susman, the Supervising Technical Director on Toy Story 2 (pictured below), had given birth to her son Eli shortly before, and had been working from home. This meant that she had a Silicon Graphics workstation at her house. It was either an Indigo 2 or an Octane, pictured right, and it was loaded up with a full copy of the movie. In order for her to work on the movie while out, they had plugged the machine up to the local network and copied the whole file tree over. Then she would receive incremental updates over her ISDN internet connection. For those not in the know, that was like two 56kbps modems duct taped together (welcome to 1998). The last update that her machine had gotten could have been as old as a couple of weeks, but at this point the Pixar team had an incomplete backup and a corrupt tree full of files, and they needed anything they could get their hands on to fix the problem. This was the difference between rebuilding every missing file from scratch and, well, shipping the movie on time. So Jacob and Susman hopped into her Volvo and shot back over the bridge from Richmond to her house to retrieve the computer. They hauled it out to the car and carefully placed it in the back seat, wrapping it in blankets and strapping it in tightly with seatbelts. That’s when Susman remembered her machine at home. At that point, the Volvo had become a $100M machine, as the entirety of the team’s efforts so far on the project were ensconced on its drives. They sweated as the machine booted up, as that’s exactly when most drives crash. It booted. They didn’t pass go, they just plugged it into the network and copied the entire drive off immediately, then starting picking apart what they had. The backup was about two weeks old, but they were able to make it the ‘B’ tree to compare with the ‘A’ backup from two months ago and a third ‘C’ source that was cobbled together out of any local backups animators or modelers had made on their personal terminals, collected by ‘groveling’ for .old, .sav, .bak and any other old file they could find. They managed to verify about 70,000 files, leaving 30,000 files to check, and they had to be done by hand. “We worked from Friday till Monday morning, nonstop through, in rotating shifts with food and sleeping bags, with about 10 or 12 of us,” recalls Jacob. They all had to be looked at with human eyes, to see which ones were shorter or more current. They did it over the next few days. The feeling of sympathy and support are what Jacob recalls most vividly. Not just that employees had to sacrifice a weekend with their family and come in on the weekends, staying up late hours and even sleeping on site, but the sense of ‘digging in’ to fix the problem. The insane amount of focus needed to pull off comparing those files shows just how deep the dozen or so people on the project had to dig. The experience transcended employment and moved into the realm of true dedication to the movie, to their digital friends and to each other. They then rebuilt and tested the project and it ended up working, sort of. To this day, Jacob can’t explain the fact that more than several thousand files were missing from the tree by the time they were done. But the project worked, the frames rendered, Toy Story 2 lived again. One of the big questions that I wanted to pose was whether or not it was ever discovered who was responsible, and whether they were punished. Normally when something like this happens, there’s a cry for accountability. Item one on the agenda is typically ‘who do we blame?’ Not so at Pixar. Aside from the fact that there was immediate chatter about who might have made such a dumb move, the discussion quickly moved right on to how to fix the problem. With this many man-years, or even man-decades, worth of work on a project, the temptation to find someone to blame, to expend effort on hunting down the person responsible, is intense. But that kind of negative thought process doesn’t help anyone and it just removes focus from what matters most: moving forward. The systems administrators definitely “went through some deep soul-searching” about the backup plans and came to the big production meeting with a new backup plan in place, which was talked over very thoroughly. But there weren’t any summary firings or screaming matches. Jacob can’t recall who on the executive staff was on staff the day that the backups were being restored, but he says that whoever was there, Steve Jobs, founder Ed Catmull and the rest of the executive staff were very supportive of the restoral efforts, rather than focusing on slashing and burning staff over the error. They bought the team Pizza that weekend, got them anything they wanted and were generally supportive. During the big meeting over the backup problem Catmull, who is known for leading an ‘incredibly calm and zen-like existence’, simply asked what the team was doing about the issue. “You guys keep on that problem? Instead of dwelling on pinning the blame or lamenting the loss of time and effort, the team made sure to alter the backup strategy so that something like that didn’t happen again, and it went about making up for lost time. After the deletion and restoration of Toy Story 2, the team was likely hoping for an uneventful path to release, but it was not to be. In the Christmas of ’98, after the release of A Bug’s Life and the promotional tour was done, John Lasseter, Andrew Stanton, Pete Docter and legendary story man Joe Ranft all came to the production team to take a look at Toy Story 2. It was not a good film. They dedicated the winter vacation to re-writing the project almost entirely from the ground up. Production shut down on December 15th and came back after New Year’s in January, when the story team re-pitched the movie. Lasseter and Lee Unkrich ended up co-directing the film along with Ash Brannon as it was seen in the theaters. Among the things that stayed? The main characters, of course. Buzz, Woody, Hamm, Potato Head, Rexx. Andy’s room stayed. The Al’s Toy Barn sequence stayed. That’s it, nearly everything else you see in the film as it is new. Effectively all animation was tossed. Effectively, all layout was tossed. So all camera work would start from scratch. Lighting was in the film a little bit, but that was tossed as well. We had to build new characters. So at that point, Buster showed up at that point. And that character went from being out to being in the screenplay to in the final screen in nine months. They were all built and assembled then. And all the effects work was added to the film. The opening of the film, which is Buzz, Buzz playing with the robots, which I spent a lot of my time working on, where Buzz blows up a quarter-million robots with that crystal…that explosion. That was all added in that pitch as well. It started from ground zero in January. So the story, effectively. And the film. And that was probably one of the biggest tests of what Pixar was as a company and a culture we ever went through. The big deal about re-building the movie? It had a hard-set release date of November 22, 1999. That date was set in stone. 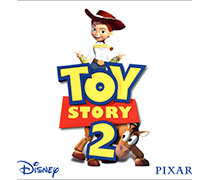 A big-budget movie like Toy Story 2 has countless marketing tie-ins, promotional efforts and more that had to be timed perfectly with the release of the movie. Moving the release date of the movie within a year is insanely difficult. Moving it within 6 months is impossible. This meant that the team had to re-make Toy Story 2 in 9 months. All because they wanted to make the best thing they could possibly make. Disney didn’t believe that they could do it. But they did it anyway. Pulling a hundred-hour week now and then is tough enough on morale and physical well-being. But to do it for 9 months in a row, that was beyond the call of duty. Pixar was also an independent and publicly traded company at that point in time. To blow a film like Toy Story 2, not release it on time, would have decimated the studio’s credibility, and detonated the Disney movie economy. Toy Story 2 was indeed finished and released on time. It grossed nearly $500M worldwide, was nominated for an Academy Award and cemented Pixar’s reputation as the studio that wouldn’t compromise. In closing, Jacob told me that the most important thing that he took away from it was the sense of camaraderie from the crew at Pixar at the time. The thing that I take away about these experiences is that the spontaneity of the communal support speaks to the culture of Pixar the rest of the time. That kind of thing just doesn’t happen all of a sudden. You can’t have a disaster and instantly develop this kind of community and camaraderie. It has to seep out. It has to be in the soil. You don’t just plant it and watch it grow in a day. It has to be cultivated over time, as it obviously was at Pixar. So, I just finished up a semester of Java at NYU as part of their SCPS Java Certificate program. Taught by Sam Sultan, it was an amazing class. In fact, it was probably the best programming class that I have ever taken. I walked away after the ten weeks with a much deeper understanding of object oriented concepts. I recommend this class regardless of whether you want to study Java or not. It will give you a leg up with learning other languages. 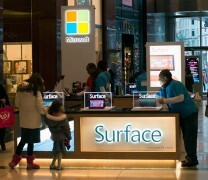 Microsoft is really pushing their new Surface tablet and touchscreen OS. I have been seeing constant ads on Hulu+ (I don’t have cable tv – Cut the Cord, Baby!!! ), subway posters, and now they even have a kiosk set up in the Columbus Circle/Time Warner Building mall. There were eight employees running the small booth, I guess in preparation for a huge onslaught of curious passers-by. In all fairness, though, I did take a spin through the Surface and it is actually really, really cool. I liked the execution of the keyboard but not the texture of it. It had a toothy, rubbery feel to it. Microsoft needs to come up with a better solution for the keyboard surface itself. Very cool idea though. Did Ballmer finally get something right?? ?